This was the fifth Toyota dealership I visited in the past month. It is the first one that didn't judge me by the clothes I wore or my looks. The staff is excellent to deal with and professional in every way. Mark was a gentleman and knows his product. You could not want a better person representing your dealership. Julia was great as well and Rosie is just delightful in handling all the paperwork. 10 stars all around to This dealership. Mark was helpful, informative, had great product knowledge and funny. Buying a car is a process but he was pleasant to spend our time with. Their overall team was efficient, honest and professional. We highly recommend their dealership. Buying a car is always hard, first you want the best possible deal, and you never know if you will get it.. Working with Mark and everyone at Bob Smith it was as good an experience as one can have.. I feel I got a fair deal and that I was always listened to... Buying a car is never enjoyable, but if you need to do so, this is the place! Thanks to Mark Young he made my dream car come true. Wasn't looking forward to the car buying experience having done it several times. Have to say it all went smooth, got the price I was hoping for and with Marks instructions I was able to drive off the lot with confidence. Very helpful and informative. Kind and fast process. Thanks mark! Daniel Simmons was the perfect salesperson for my purchase. He answered all of my questions and was very patient and hardworking. Todd in finance worked his magic and now between these 2 great guys I have a new car! 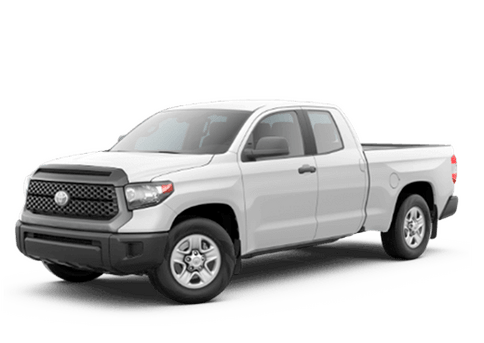 Worried about my first lease, I walked into Bob Smith Toyota uncertain and concerned. Due to a hectic personal schedule, I was helped by two separate salesmen: Blake and Mark. Despite the obvious logistical issues with splitting a sale, they coordinating exceptionally and didn't drop the ball at any stage of the game. Both Blake and Mark followed up after our initial meeting and test drive. They took care to explain each step of the process, all assumptions made, and answered any questions I had completely to my satisfaction. After being helped by Blake and Mark throughout the entire process, we worked to find financing options that benefited all parties involved - and while the finance department and the salesman helping me were working together, other salesmen and people from the dealership came to talk to me and keep me company! Both Mark and Blake were overwhelmingly friendly, knowledgeable, and professional, and it's clear that the entire dealership really cares about one thing: providing the best possible experience for each individual walking through their double doors off Foothill Boulevard. I cannot see myself buying or leasing a car from any other dealership after this downright fantastic experience. Thanks so much, Bob Smith Toyota! I have leased four vehicles and now I've purchased one from Bob Smith (Haik & Ron respectively) and couldn't be happier with both experiences. Friendly, helpful and enormously available to help us find the right solution for our family.